What does the 4th Century Physician Hippocrates have to do with Dig-In? Well like Hippocrates we happen to agree when he said “Death sits in the bowels and bad digestion is the root of all evil.” – Hippocrates (400 BC). That might be a tad dramatic, especially when your furry companion is hopefully in the prime of health and so full of life and joy (plus, we’re sure Hippocrates was a human physician) But… we think he nailed it and 1600 years later modern research supports the claim – it is all about the ‘gut flora’… and that includes your dog’s. These tiny microbial gut floras are essential to your dog’s well-being and happiness. At Dig-In we created a scientific formula to encourage a healthy gut and create great digestive health. The benefits of Dig-In have been well noted by our trials and more importantly by your testimonials. 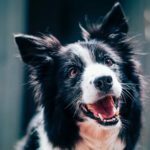 This month we thought we’d pass on three common things that negatively impact your dog’s gut health and howDig-In Digestive Gravy Powder can help. Having a sick pet is never easy and depending on the nature of the illness, if it’s bacterial, it will often end with a prescription of canine antibiotics. The problem with antibiotics is that they can easily destroy good bacteria as well. So, once your dog has fought off the disease or infection he still has a long way to recover. 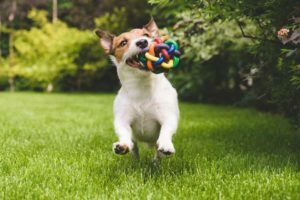 Dig-In assists in this process by encouraging a return to a balanced digestive system and plenty of ‘good’ gut flora to facilitate a healthier dog, sooner. 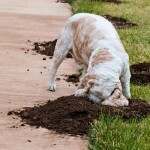 Additionally, Dig-In taken regularly is somewhat of a preventative in this area as well. As Dig-In supports a strong autoimmune function it gives your pet the best chance of fighting off the nasties before they get the chance to become too problematic (and expensive). Most dog owners usually have a monthly oral flea and wormer treatment plan. For most households it’s a case of buying something they’ll voluntarily eat, usually advertised as a ‘delicious chew’ which more often than not gets spat out on the floor then has to be forcefully shoved (placed) down the throat. The ensuing look of reproach usually tugs a few heart strings and a general sense of betrayal. Then there’s the smashing up of a tablet at dinner time, mixing it in and hoping that it doesn’t get noticed. For the fussy eaters out there this typically results in a waste of both tablet and dinner and then the aforementioned ‘take your medicine’ battle ensues. Dig-In Digestive Powder helps by ensuring that your dog’s immune system is prepared for the gastronomical upset that can occur as result of oral flea and worm treatments. Dig-In’s unique formula also assists by providing a healthy digestive system in the first place so that parasites have a harder time finding a welcoming abode in your dog’s digestive tract. This certainly doesn’t apply to every pooch out there. We’re convinced that there are refined dogs in existence that don’t eat out of the bin in a fit of separation anxiety or suffer from bouts of coprophagia. However, some dogs just learn whether or not to eat something by, well… eating it. Sometimes this results in a lacklustre pet for a couple of days and other times a trip to the vet and in severe cases even surgery. In any event, it’s hard to see your best friend in pain. Dig-In works by facilitating a quicker return to normalcy, especially in regards to their gut health, this typically results in a speedy recovery. Once again if you’re using Dig-In on a regular basis your best friend is in a better position to start with. 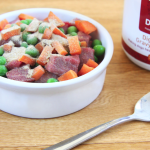 Dig-In can also help with appetite, if your dog is suffering to return to a normal appetite after eating something they shouldn’t have Dig-In is naturally delicious and scrumptious, so your dog will be licking the bowl clean in next-to-no-time. 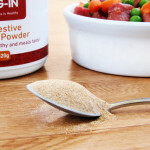 Dig-In Digestive Powder works great when assisting a return to digestive health after any of the above. However, Dig-In works best as a daily preventative, designed to fight against nasty bacteria in the digestive process, and build a stronger immune system over time. Believe Happiness is Healthy too? Get Your Dig-In Today – SHOP NOW!